25 June 2015, Singapore – New touring car championship TCR International Series will make its debut on the streets of Singapore, joining Porsche Carrera Cup Asia as official support categories to the 2015 FORMULA 1 SINGAPORE AIRLINES SINGAPORE GRAND PRIX – held at the Marina Bay Street Circuit from September 18 to 20. 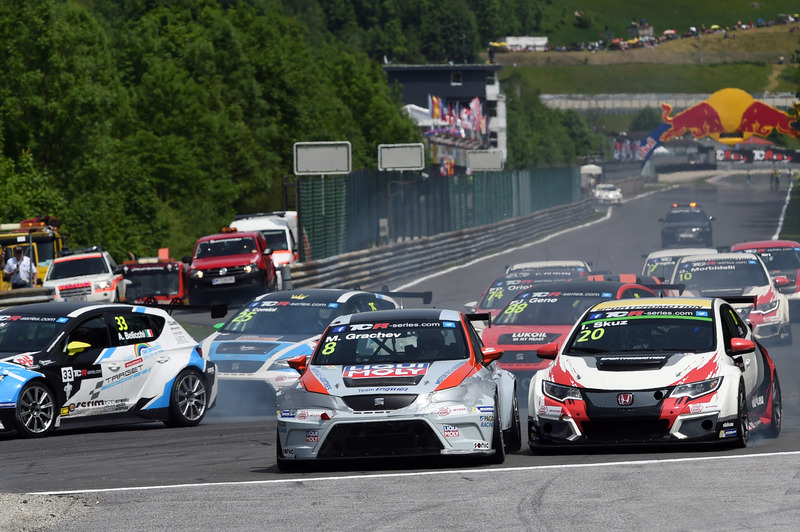 An exciting newcomer to the world motor racing stage, the TCR International Series is for production touring cars, bringing major manufacturers such as Ford, Honda, Opel, SEAT and Volkswagen together in a keenly-contested 11-round global series. The TCR International Series, which is part of three Formula One™ events this year, including Malaysia, China, and Singapore, features some of Europe and Asia’s best drivers – including Gianni Morbidelli, who started 67 Grands Prix between 1990 and 1997 for six Formula One™ teams, including a one-off appearance for Ferrari at the Australian Grand Prix in Adelaide in 1991 when the team parted company with Alain Prost. Morbidelli, who drives a Honda Civic TCR for Sweden’s West Coast Racing, led the way in the inaugural series until Switzerland’s Stefano Comini caught and passed him at Round 8, staged in Sochi, Russia. 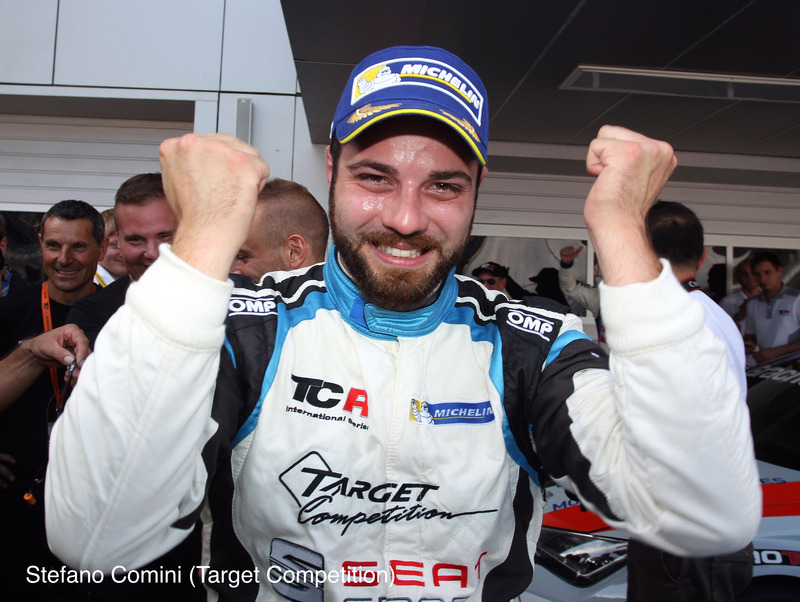 Comini races a 4-cylinder turbo Seat León for Italian team Target Competition, and has taken three wins to date. However, five rounds with no point score has kept him from building that big title lead. Another driver to look out for is Jordi Gené of Team Craft-Bamboo Lukoil, the older brother of Ferrari F1 test driver Marc Gené. The Spaniard joined the TCR International Series fresh from stints in the FIA World Touring Car Championship – and won the LMP675 class at Le Mans in 2001 with teammates Jean-Denis Délétraz and Pascal Fabre. The cars, making their debut in Singapore, are every bit as recognisable with the new Volkswagen Golf R, hot hatch Honda Civic TCR, souped-up Ford Focus ST, and Euro superstars Seat León, and Opel Astra OPC, put through their paces. A GT3-style balance of performance formula ensures level competition. All cars in the TCR International field use two-litre production-based turbo-charged engines putting out around 330 bhp and using six-speed sequential gearboxes. No telemetry, no driver aids: TCR is about making racing as affordable and uncomplicated as possible. That’s not to say the competition isn’t fierce: just ask American racer Kevin Gleason, who took the inaugural pole position in his West Coast Racing Honda. Porsche Carrera Cup Asia is another blockbuster category, with some of the best drivers from across the world contesting this one-make series, and featuring the ever-electrifying Porsche 911 GT3 Cup car. Mr Colin Syn, Deputy Chairman of Singapore GP Pte Ltd, said the inclusion of two international support categories again proves the event has some of the best on-track action to support F1. “The new TCR International Series, together with Porsche Carrera Cup Asia will ensure there’s plenty happening on-track at the 2015 FORMULA 1 SINGAPORE AIRLINES SINGAPORE GRAND PRIX, along with Formula One™,” Mr Syn said.